Do you have an upcoming flight in or out of Clinton National Airport? Hotels in the area allow you to relax before and after your trip. Stay123 near Clinton National Airport in Little Rock, Arkansas are both convenient and affordable and provide an abundance of amenities. The official name of the airport is Bill and Hillary Clinton National Airport/Adams Field. Find LIT hotels. Established in 1917, Little Rock’s first airport was formally known as the Little Rock Intermediate Air Depot, and it was operated by the U.S. Army Signal Corps. In 1926, the Federal Government acquired property to provide support and landing facilities for the 154th Observation Squadron of the Arkansas National Guard, which was to be based at the site. The airfield was purchased by the citizens of Little Rock in 1930, and commercial air service was launched in 1931. Adams Field was named in honor of Captain George Geyer Adams, Arkansas National Guard, who was killed in the line of duty in 1937. He had been a strong proponent of the airport during his long tenure with the Little Rock City Council. In 2012, the Little Rock Municipal Airport Commission voted to rename the airport the Bill and Hillary Clinton National Airport, after former Governor of Arkansas and President of the United States Bill Clinton, and his wife, former U.S. Secretary of State Hillary Rodham Clinton. 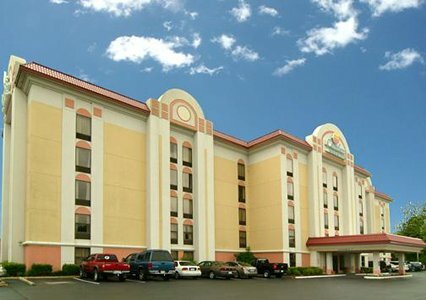 Stay123 near Clinton National Airport (LIT) let you rest and refresh yourself while in the Little Rock area. When planning your itinerary and looking for hotels near Little Rock Airport, Stay123 offer you affordable rates, premium accommodations and friendly service. Book your LIT Airport hotel today and enjoy your stay at Stay123! Make a reservation with us today securely online now or call us toll free 888-511-9939 and check out our latest selection of Stay Park and Fly packages. LittleRocks Airport park and fly with free long term parking. Stay, Park, & fly hotels near LittleRocks airport, cheap, intensely reduced rates. Enjoy your trip with LittleRocks airport at cheap packages and book with stay123.net.